A recent study conducted by the Bolles Alumni Services revealed an astonishing statistic: 66% of Bolles alums have grown up to fulfill their childhood dreams. From all the absurd ideas occupational childhood aspirations have generated, some have come true. After reaching out to a handful of these alums, three agreed to an interview: Goose Wayne, a ninja chef, Timothy Eaden, a scuba diving pizza delivery man, and Phillip McGraw, a cow. In the kitchen at Bistro Aix, Goose Wayne remains loyal to his Monday through Thursday schedule. Fridays, of course, he spends his time as a ninja vigilante. JSO is aware of his presence, however, they don’t seem concerned. 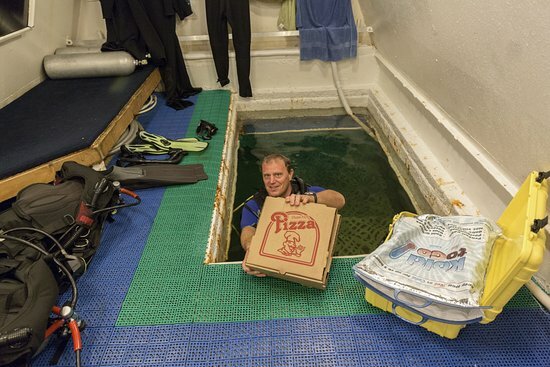 While Wayne takes his weekends off, Timothy Eaden, class of 2004, works constantly on call at his position of scuba diving pizza delivery man. exploration and research in the 70s. Now, it remains a two bedroom hotel in which guests pay $800 to rent it out for a night during which they receive a pizza delivery. Guests can pre-order what toppings they want when they book. They’ll see a knock on their window around 7pm that night. Finally, Phillip McGraw, class of 2000, grew up to take on the job of a cow. When he was three, McGraw knew his big brother wanted to be a farmer. Thinking he could help his brother, McGraw declared his passion and goal to become his brother’s cow. When his brother opened a farm, so McGraw found a cow suit and developed a taste for grass. His success was minimal, however, he has maintained his current lifestyle for the past 15 years.